What’s most impressive about Instagram’s billion-dollar story is its rapid ascension among today’s most popular apps. In just four years, Instagram has attracted about 300 million users. Consumers love Instagram, but brands have been hesitant to accept the platform. Only 23% of brands currently have an Instagram presence, according to a recent study completed by Yesmail using its Market Intelligence Tool. However, Instagram’s highly visual platform, growing user base, and unique photo-sharing features can help brands drive reach and engagement. One of Instagram’s most exciting aspects is its photo-sharing interconnectivity. With millions of users and 70 million photos shared daily, the platform’s network is extensive. 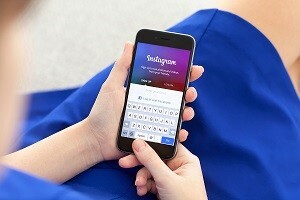 Brands can use Instagram to connect consumers to their products.